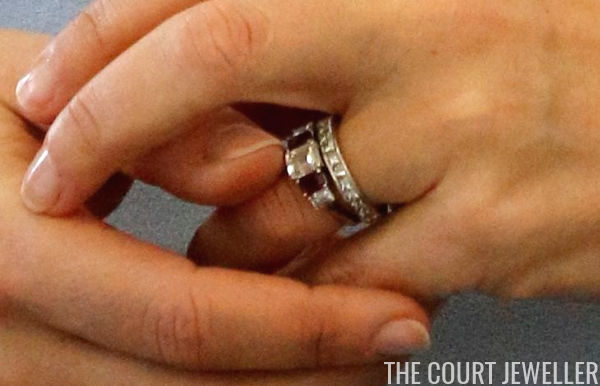 Some royal engagement rings are classic, some are simple, and some are over the top. But there's only one word that adequately captures the ring that Crown Prince Frederik of Denmark gave to Mary Donaldson: patriotic. 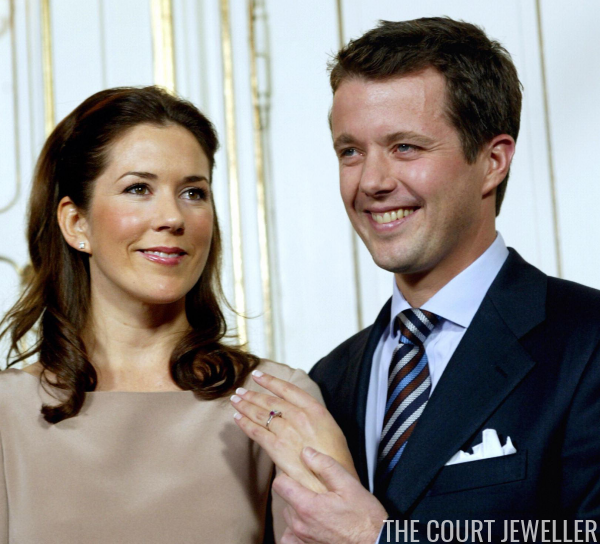 Frederik presented the ring to Mary in 2003. They'd been dating for a few years, following a meeting at the Sydney Olympics in 2000. The ring, as it was originally made, featured a central emerald-cut diamond flanked by a pair of ruby baguettes. The colors were chosen specifically by Frederik because they're the colors of Denmark's flag. Here's another look at the original setting of the ring, taken on the day of the official engagement press conference. After the royal wedding in May 2004, Mary began stacking the engagement ring with her diamond-set wedding band. In recent years, the engagement ring has been altered a bit: two more diamonds have been added, one on either side of the ring. I like the change; I think it makes the ring look more substantial -- certainly a piece fit for a future queen. 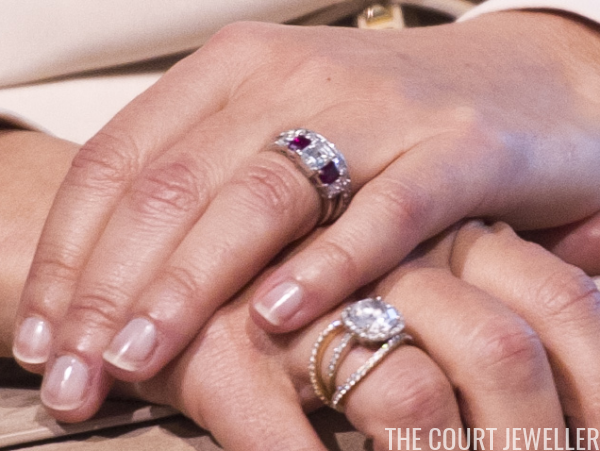 And the ring can now be seen with additional symbolic weight, as the five stones could stand for the crown princess's husband and their four children.